(19th, Feb, 2014) Until now, The Solar Middle East Expo, which was hold on 11th ~13th , Jan, 2014, ended with great success in Dubai International Exhibition Center. Meanwhile, EverExceed’s participants just came back from the Solar Middle East Expo with good harvest. The whole hall was crowded with solar power industry businessmen, which brought unrivaled opportunities for EverExceed corporation as well as other peer enterprises. As we all know, the Solar Middle East is the most comprehensive gathering of solar technology suppliers ever seen in the region, and will provide exhibitors with an unrivaled opportunities to connect with potential customers and build relationship with peers. Therefore, just grasp the chance, one step closer to success. On this exhibition, EverExceed corporation, as an industrial group with operation on six continents, made full preparation for this exhibition, not only from the samples, but also from the brochures and posters. EverExceed corporation showed solar power products, UPS power products as well as lead acid batteries and nickel cadmium batteries. For the solar power products, EverExceed corporation showcased monocrystalline and polycrystalline solar modules , solar controllers, solar inverters and solar gel batteries. As for UPS power products, EverExceed’s staff also brought plentiful technical materials to the exhibitor for further reference. Batteries, as one of the main products, attracted many exhibitors to come to inquiry products as well. Each exhibitor coming for professional explanation, was finally left with contented smile and took photos with EverExceed’s staff. 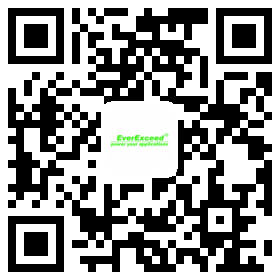 With high-quality products and professional team, providing customers with the most satisfactory service, is always been the aim of EverExceed Corporation’s long-term development. EverExceed’s Solar Middle East Expo ended with perfect success. Believably, the unrivaled opportunities brought by the Expo will have profound influence on the company’s business growth. EverExceed’s staff will make full use of this opportunities, and provide the global customers with better products and high-quality service.